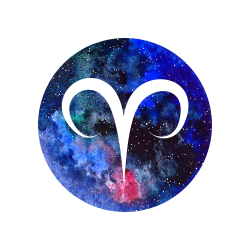 Let’s get the karma started this week, Aries. This may involve you and more than one person. Friends, groups, teams, associations, clubs, units – karma draws people together for a reason. Look at who you are with and what you are going through in a larger sense this week as there is a purpose to it. You associating with others, attending an event or being in a particular venue or place at a particular time has a fated feel to it. It may be you are with these people or at this place to meet just one individual. Or it can mean you are all fulfilling a soul contract together. Look at who is sharing your experiences with you. This week is all about connections. With ruler Mars in your 11th and Mercury impacting on the North Node in your 5th, it’s also about sharing good times with others. Not just as in with a particular group of friends but also with one special someone. The Sun and Mercury enter your partnership sector this week. Whether you’re settled or single you should be out and about now. Settled Rams will go out of their way to discover new things to do together – concerts, performances and anything arts-related may top their list as could delighting their partner with something new. Both settleds and singles could have entrée to an exciting new social scene while singles could just have that fated romantic encounter right when they are lost in the experience, enjoying the moment for what it is, and love far from their minds. If you’re searching – whether it’s for a new scene or a lover, chances are fate has a hand in you finding it this week. In a nutshell: There’s a karma party happening and you’re invited, Aries! This week is all about shared experiences, shared destinies and being where fate can find you. Team leader or team player? You can be both! Mercury enters its ruling 6th this week while Mars stokes up ambition in your 10th of career and along with Uranus is asking you to reach for a different approach. The Sun also follows Mercury into your 6th from the 23rd. You’ll not just see your ambitions fired up, but you want what you do to mean something and to feel what you do is important now. If you work for yourself, you’ve the ability to add extra value to what you do. And also to accomplish a great deal now whether you are self-employed or not. If you work with others, just ensure you don’t go overboard insisting on doing things your way. It’s time to work towards cooperation and collaboration. To know when to be a leader but also when to be part of a team. You are in a position to do both now. When it comes to work or even your routine, you’re restless now and seeking ways to give you and your ideas more room. More breathing space. If your job has become confining, then do take advantage of both Mars and Mercury and take action to make changes. Especially if those changes would give you that feeling of value and purpose behind what you do. Yes, you are seeking financial rewards now. But the real take out is in the feeling you get at the end of the day for a job well done and support for your ideas. Pursue this benefit above all others this week. In a nutshell: You want recognition and the rewards that go with it. But that’s not your sole motivation for success. You want what you do to mean something, Taurus. Find it now. Dance with life – or with someone special! Home matters are highlighted as ruler Mercury meets with the Sun in your 4th this week. Contracts, leases, buying, selling renting property, living arrangements and moves are all highlighted and this is a great time for anything that requires your signature be it to do with your home or your career. Mercury and the Sun then move on into your 5th on the 22nd and 23rd respectively. You can then let go of serious matters relating to your family and security and head off in pursuit of passion and pleasure. This house rules romance, children, lovers, young people and what fires us up. It’s where we get to dance in harmony with life and be in the flow – rather than swimming against the tide. This is one of those times of the year which favours a fresh start. This can be around a romance, creating something or something you want to do or achieve. 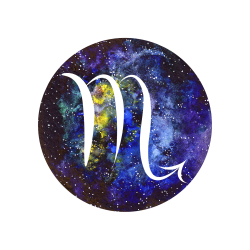 Ruler Mercury in here lends that extra spark of creativity and pinch of love to your ideas and pretty well anything you wish to communicate. It’s also about reconnecting with your inner child via hobbies, activities and pastimes. Indulge yourself. But then you’re not doing that, Mercury is enhancing every aspect of business and communications from face-to-face meetings, blogging or that presentation. What you say impresses people every bit as how you look and act. Get networking this week. In a nutshell: Start the week focussing on long term plans around home and security. Then get ready to shrug off responsibility and head towards romance, pleasure and fun, Gemini! What is stopping you living the way you want, Cancer? Change is in the air this week as a cosmic shift takes place which could bring about a whole new set of circumstances for you to experiment with. Have you been carried along by the tide without thinking of whether or not it is taking you where you need to be? This can apply to where you live, your work or even who you socialise with. Maybe it has worked up to a point so far. But this week you’ll see the need to determine your own direction in a key area which may also go hand-in-hand with you letting something or someone go. This has well and truly been lived out and may in fact be holding you back. The problem with going along with the tide (or others, or what others think) is that you can end up somewhere you don’t want to be. See this as not just a change you reclaiming lost empowerment too. This week also sees the Sun and Mercury in your 4th of all things Cancerian related as well as a focus on what you value. These values are those you have accumulated on a soul level over many lifetimes and speak volumes about who you are and what you stand for. Think of these as riches you have accumulated that stand the test of time. 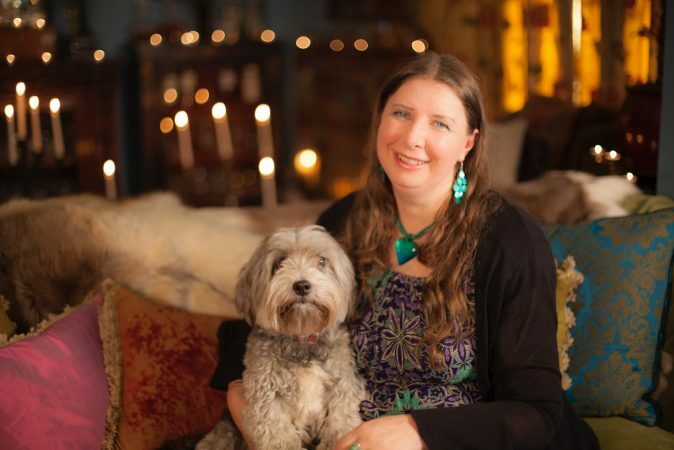 Questions around whether you have ‘sold out’ and also karma around money are reflected in what is happening this week with regards to your income, assets and even those people you rely on to be there. What you owe, what people owe you, debts and promises accumulated over more than one lifetime could be paid or fall due. Remember, our bank accounts can fluctuate but what we’re truly worth never falters. Be worthy this week. In a nutshell: Get ready for a fresh direction if you have been content to just ‘go with the flow’. 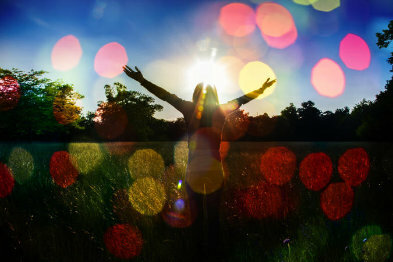 Self- worth is linked to self-empowerment. Determine where you want the future to take you, Cancer. Ruler the Sun and Mercury have a value-added final meeting in your money house this week before both head off into your 3rd. 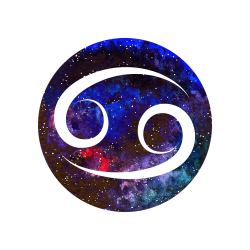 News may not only boost the bottom line but enhance that Leo glow as you bask in the satisfaction of what you have been able to achieve yourself. Our 2nd is always about our money and our ability to earn it rather than other people’s (8th) and windfalls (5th). So, enjoy the moment and take stock of those feelings of worth that accompany that boost to your bank account. And please – I’ve said this before in your forecast recently, don’t just fritter those gains away. It’s all about your stewardship of what you have at the moment, rather than the actual amount. Define what is truly valuable to you rather than just spending. The 3rd is Mercury’s ruling house in your chart. Along with the Sun in here success is very much tied to you sharing your ideas and also cooperating with others on theirs. The collaborative approach will bring benefits and these can include more material success as this is your house of commerce and business. Upgrading your phone, tablet, computer or even car is likely now. Expect increased interaction with neighbours and siblings if you have them. When it comes to anyone you want to impress with those smarts – employers, customers, colleagues, followers – or potential ones, you’re in a position to do that. State your proposition – then follow through this week. In a nutshell: You could strike gold with your ideas this week. Share them or get involved with the ideas of others. Collaboration breeds success, Leo. 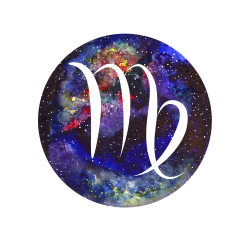 You get one last birthday gift from ruler Mercury this week as it meets the Sun in your 1st. State those intentions and then move towards them, Virgo. You are setting the energy in motion that can fulfil a key aspiration at some point during the next 12 months. Stay focused on this and remember – where intention goes, energy flows. You need to be 100% certain of this and also in your belief in yourself and your ability to achieve what it is you want. Chances are you are experiencing a release into a larger experience alive with the possibility now. Don’t waiver – either in your intention or your self-confidence. The Sun and Mercury will both leave your sign this week and head on into your money sector. What are you undervaluing, Virgo? Is it your time or talents? Or simply what you have worked for and achieved? Do you think just anyone could do your job and that you have nothing special to add? Your ruler is all about business and commerce and in your house of money will usually bring you increased activity on the work front resulting in an equal increase in your bank account. But it all boils down to the price you are putting on yourself. Don’t sell yourself short. In a nutshell: Commit to a goal or a course of action you want to achieve in the coming year, Virgo. And don’t let self-doubt derail you. This week wants to show you you’ve got what it takes. Happy birthday, Libra. The Sun arrives in your sign this week along with Mercury, the planet of commerce, movement and communication. Our birthday is always the best time to make our ‘New Year’ resolutions as this is the start of our new year and new cycle – not the calendar date. What is more, at our birthdays we have the energy available to set and stick to our intentions because they are heart-centred as opposed to just something we think we ought to do just because the date is January 1. Plant the seeds of what it is you want to accomplish now secure in the knowledge that if your intentions are true, you will get to experience it. True New Year’s resolutions begin here. Mercury in your sign is all about communicating your thoughts and ideas to others but it also hands you the combined magic of inspiration and aspiration. You can be inspired by an idea, a project, plan or course of action and then not want to rest until it is accomplished. The great thing about sharing those plans and dreams with others is that right now your enthusiasm, vision and pure faith in your ideas, is contagious. Others want to join you or else lend their support. 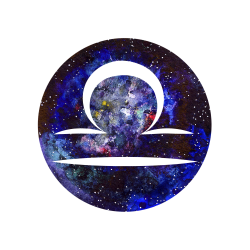 This could be the start of a birthday journey which lasts all year, Libra. Get celebrating. In a nutshell: Your birthday season comes wrapped in potential and tied with the ribbon of intention. Set your goals for the coming year. And don’t forget to include others in your plans! 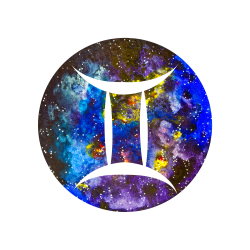 What you intuitively know and what you have not known perhaps until now, may surprise you this week, Scorpio. With the Sun and Mercury now in your mysterious 12th its time for a few revelations. Now, either you will greet these with a ‘I knew that’ or your world will be rocked – one way or another because you simply did not see it coming. Pay close attention to what you intuition tells you and please, stay grounded. If you have concerns then escapism is not your answer. What will give you answers is probing deeper. Your creativity and psychic abilities soar this week, leaving the rest of us behind. Immerse yourself either in a creative project or inner wisdom. You’ll get answers to any questions from either of those in ways that will astound and amaze you due to their accuracy. What are you destined to do and achieve in this lifetime, Scorpio? Answers may also arrive to big questions around your path and purpose. Ancient ruler Mars opposes the North Node in your house of career and Mercury will also make a positive angle to it. Are you doing what you are supposed to be doing? Making that final push towards something is one likelihood now as you strive for success. As is realising this is not the path you are supposed to be on. Destiny defining actions take place now. Again, these may be related to what is revealed for you. Be ready for a different outlook – and a new outcome as a result. In a nutshell: Prepare for revelations or your intuition to be validated. Destiny drives your career this week. If you want to know if a path is right for you, get ready to receive your answer. Soul satisfying aspects occur in your career sector this week with a meeting between the Sun and Mercury in here. Positive news or even accolades could be on their way, Sag. You hear you got the job/raise/project and your professional stock soars as a result of this. You are in a position to impress people in positions of authority and influence now with your ideas and what you have to offer. Craft that presentation and project confidence. Both the Sun and Mercury are on the move now entering your 11th. You’re in search of excitement, freedom and fresh experiences. New connections could play a vital role in this. Goals get re-ignited especially if lately, you have just felt you didn’t have the necessary enthusiasm or even energy anymore. You could have even been wondering if you have been chasing the wrong dream all this time. Freedom inspiring aspects set you back on course this week and also see any barriers to travel, learning, opportunity and experiencing the world on a larger scale, come tumbling down. Whatever it was you have felt has been missing or lacking in your life recently, fate now lends a hand to give you what you need. Once you have it, you’ll see that while you may temporarily given up on your dreams – they never gave up on you, Sag. In a nutshell: Career recognition and rewards could be on their way this week, Sag. But when it comes to those wild, personal dreams – the message is: don’t give up. Because they’ve not given up on you. Be sure of your facts this week, Capricorn. And also look at who has the ‘authority’ in your life and may be questioning either your facts, your opinion or just you. Vesta arrives in your 1st this week and this is an important dwarf planet. In mythology Vesta was the daughter of your ruler, Saturn. With Vesta we often see one man in a situation with two or more women. Think the Vestal Virgins who were under the rulership of one man in ancient Rome. This man can either be supportive or can be oppressive, or even foster a sense of competition amongst women for his approval. No matter what gender you identify with, look closely this week at any situation where one man is surrounded by at least two women. Above all, avoid any situation where you feel you are the ‘other’ woman or being manipulated into being competitive with another female(s) if you are female. If you are the male of the piece here, time for equality and perhaps to embrace your own feminine side. Be supportive and above all, don’t encourage women to ‘compete’ for your favours whether this is within your own family, your job or socially. Be one of the good guys. 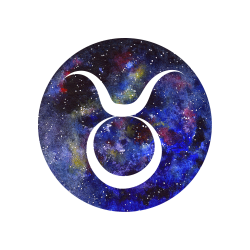 You’re entering a cycle of success and achievement this week as the Sun and Mercury head into your 10th of career and reputation. All the more reason to be sure of what you say and where you are coming from. Time to take yourself seriously on a professional level. Mercury rules contracts so serious agreements can be entered into now. Contracts can be signed. People will be watching you. So all the more reason to step free of any competition this week and be seen as someone prepared to make it on their own terms. Not by dancing to someone else’s tune. In a nutshell: Are you being made to feel you are competing for someone’s time or attention? If so, step free. Success and recognition beckon. Time to make it – on your own terms, Capricorn. Changes to family, home, career or living arrangements could see contracts signed, deals done or a move in a brand new direction this week. Stay true to your values and what you know is a non-negotiable. The opposite of deal making is of course, the deal-breaker. Circumstances may ask you to stick to whatever this means for you now and not be afraid to say ‘The buck stops here’. No matter what it is that may be negotiated or compromised – and yes, you may be flexible in certain areas, don’t be a sell-out. The fact is, you have to live with yourself afterwards. Take care of business – then set yourself free. The Sun and also Mercury arrive in your 9th this week. It’s time not just to dream about the things you want to do – but to do them. Writing, teaching, learning, communicating and above all, travel or doing business overseas is favoured now. It’s time to extend yourself out into the big, wide world. Write down what it is you want to do or experience. Where you want to go. And then write down a game-plan to make it happen for yourself. Anything you sign or agree to this week could mark the start of cycle of long term success. All the more reason not to sell yourself out – or short, Aquarius. In a nutshell: A new direction is emerging but this may require negotiation. It could lead to long term success for you. But know what you are prepared to compromise on – and what you’re not. What or who is your ‘type’ this week? 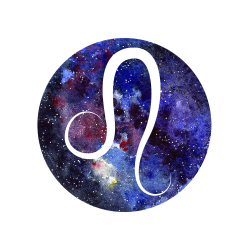 What or who have you ‘drawn’ to you these past few weeks, Pisces? Whatever or whoever this may be, I can tell you it or they have been sent to you because they are what you need right now to develop on your relating journey. Hopefully this has shown you the difference between what you need and what you want – often two entirely different things. Your 7th is of course your house of partners but sometimes a transit through here doesn’t bring a specific person through but rather shows us the ‘type’ of person we need in our lives. As the Sun and Mercury have one final meeting in here take a look at who acts as your mirror now. Just your type, perhaps? Mercury and then the Sun exit here and arrive in your 8th on the 22nd and 23rd respectively. This house brings up strong feelings and also strong forces, to the surface. It’s not so much about what you think about something – although this is your house of investigations and going deeper. It’s all about that instant ‘gut’ reaction which is likely to be extreme. You either passionately love something or someone. Or else just as passionately hate it. And to others there may be no obvious reason behind these extremes. Desire surges now especially as you still have Mars in your 1st. You’ll feel it – and then act on it. But remember – you may have drawn it to you in the first place. In a nutshell: It’s a week of extremes and it all pivots around how you feel about something, Pisces. You’ll either love it (or them). Or the opposite. But it all boils down to what you need right now.